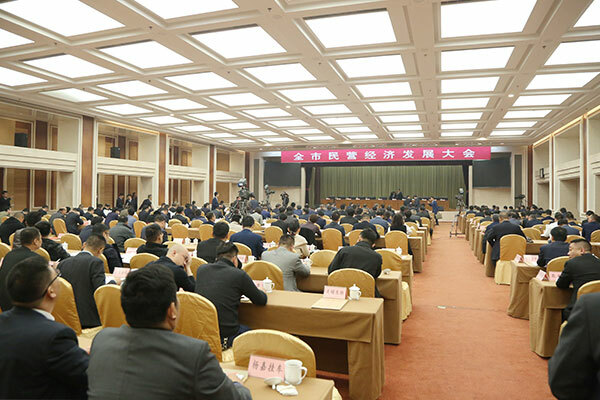 On the morning of April 12th, Jining Private Economy Development Conference was held in Jining Canal Hotel. Fu Mingxian, secretary of Jining Municipal Party Committee, attended the meeting and delivered a speech. Representatives of private entrepreneurs from all walks of life in the city attended the meeting. The scene was full and the atmosphere was warm. 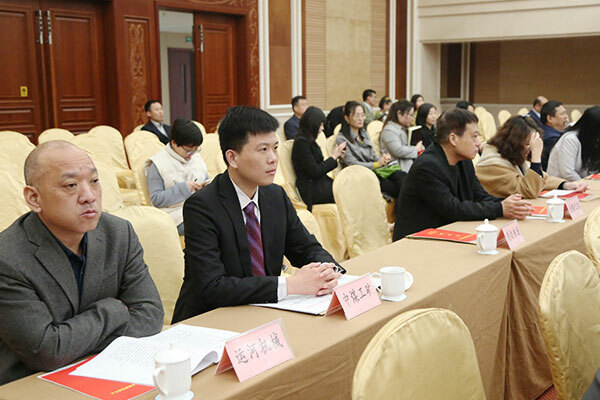 As the representative of the key private enterprises in the city and the vice president of the Jining City Chamber of Commerce, China Coal Group was invited to participate. The deputy general manager of the group, Yu Yu, represented the group. 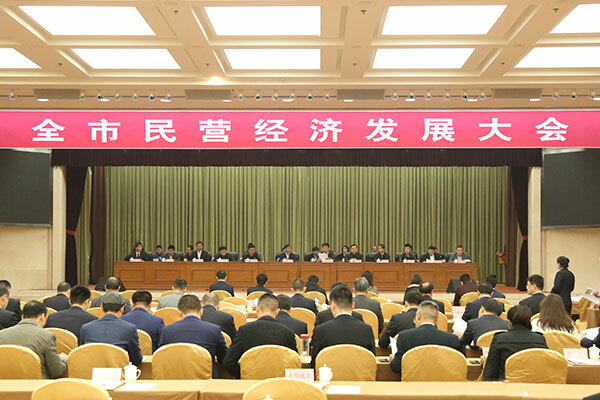 At the meeting, the city's advanced units for private economic development were announced, and China Coal Group was rated as an outstanding private enterprise in Jining City. The meeting pointed out that General Secretary Xi Jinping’s important speech at the private enterprise symposium issued the strongest voice to support the development of private enterprises, not only pointed out the direction but also provided fundamental follow-up for us to do a good job in the private economy of the new era. We must thoroughly study and implement General Secretary Xi Jinping's views on the development of the private economy, implement policies and measures to support the development of the private economy, build a new relationship between the government and the business, strengthen the party's leadership over the private economy, and deploy in accordance with the arrangements for the development of the private economy in the province. The city's private economy development work will promote the sustained, healthy and rapid development of the city's economy and society. The meeting demanded that the whole city should seize the favorable opportunities for the development of the private economy, and pay close attention to various policy dividends, supply-side structural reforms, new features of industrial development, and new opportunities brought about by mixed ownership, taking advantage of the trend and taking advantage of the trend to promote the private economy is accelerating its development. Efforts should be made to solve the difficult and expensive problems of private enterprises, reduce the burden on private enterprises, relax the market access of private enterprises, support the transformation and upgrading of private enterprises, do a good job in the service guarantee of private enterprises, and open up the "last mile" of policy implementation to build pro- new type of political and business relationship has been vigorously promoted to promote the development of the private economy of the city. As a large-scale private enterprise supported by the Ministry of Commerce, the Provincial Department of Commerce, and the Municipal Bureau of Commerce, China Coal Group, with the strong support of governments at all levels, is responsible for the country, responsible to the society, responsible to customers, and responsible to employees. Spirit, solid foundation, and development with one heart and one mind, after 25 years of development, achieved economic and social benefits. The Group has achieved outstanding results in various industries and fields such as e-commerce, cross-border e-commerce, software R&D, intelligent equipment manufacturing, smart agriculture, and intelligent logistics. It has been highly praised by many national, provincial and municipal leaders and has won awards. National e-commerce integrated innovation demonstration enterprise, China's two-in-one integration innovation practice award enterprise, Shandong province's two-in-one integration management system standard pilot enterprise, Shandong province e-commerce demonstration enterprise, Shandong Province e-commerce outstanding enterprise and many other honors for Jining City the private economy has made positive contributions to the development! Yu General manager said that China Coal Group will conscientiously study and implement the spirit of the important speech of General Secretary Xi Jinping at the private enterprise symposium, not only actively implement the policies but also measures of the state ,provincial party committees and provincial governments to support the high-quality development of the private economy, in the municipal party committee and municipal government. Under the correct leadership, we will continuously improve our operational capabilities and management level, expand our international horizons, enhance our innovation capabilities and core competitiveness, aiming at contribute more to the promotion of the high-quality development of the city's private economy!